Schröder had an appointment with Dr. Kattinger again. You can read on Schröders page how the examination was. The owners aren't Baumann & Prasser any more, but Baumann & Lemcke. There are some news from Schröder, which can be read on his page under the progress reports. Our heartdog Keena (yes we can Charming Princess Keena, DRC, diagnosis : TD, left picture) was lucky to celebrate her second birthday and we share her and her owners happiness! She had a very nice day with a walk in the forest, swimming, dummies and lots of treats. We wish her many happy and lighthearted coming years. The enchanting Vicky (see picture on the right) has sadly lost her battle against her heart disease. We haven't reported yet about Vicky as she didn't suffer on TD and also didn't have official documents – but this was no reason for us not to help her and her owners with advice and an open ear. The affection to all our heart dogs is and will always be independent of pedigrees and therefore we all grieve for Vicky. That's why we of course would like to place a memorian for her. Vicky was ten years old. She has had a heart tumour, which followed in several pericardial effusions. I haven't known Vickys owners for a long time yet, but I can tell you she really had a wunderful live and was loved wholeheartedly. They gave everything for her and accompanied her lovingly till the last day. Vicky, you good-hearted soul... Take care and keep a watchful eye on your people until you'll meet again one day. I know,you'll always stay in their heart. Schröder is celebrating his 5th birthday and we celebrate with him! Bysterstorff's Beam me up Schröder had again a follow-up appointment with Mrs Kattinger. You can read about it on his page. You can find a new report on Schröders page under the progress reports. 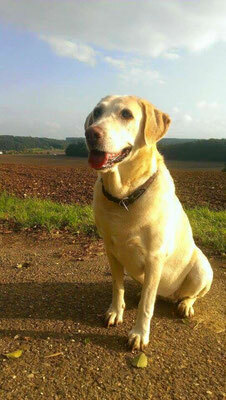 Today our list of affected dogs has again increased by one female dog. We'd like to thank the owners of Baypoint's Westminster Abbay (AKC) for their confindence and support as well as Marcy for the kind mediation. Our yesterday's seminar and especially the conversation with Dr. Kresken at lounch time has encouraged us, that the time for reconstruction has come! Until the relaunch we can be contacted as always! Last week, Silvia found the necessary resources to write a short report about Nevio. As always you can find the information under progress reports on Nevios page. 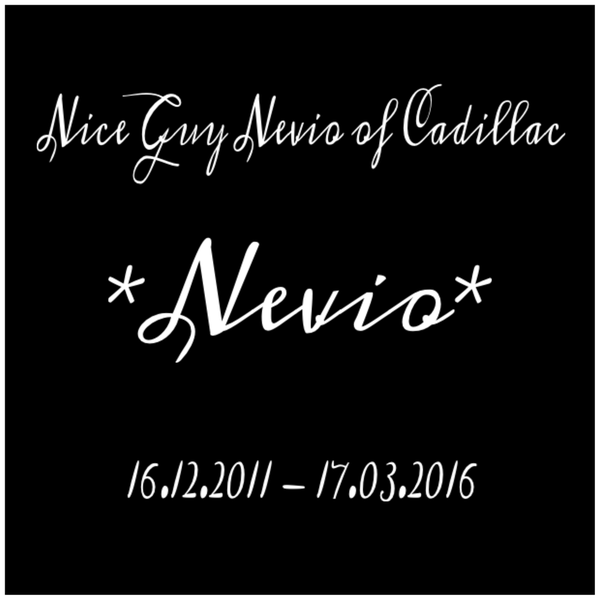 Nevio, we miss you a lot! On April 16th 2016 there will be once more the VDH intensive seminar about "Ein Herz für Hunde" about heart diseases of dogs in Dortmund. Speaker will be someone no less than Dr. med. vet. Jan-Gerd Kresken, chairman of the Collegium Cardiologicum e.V. himself. The las time we couldn't be part of it on personal reasons, the more I am happy that I will be there this time! I'm waiting in suspense who will also be there and to learn and refreash our experience and also talk to Dr. Kresken about our new plans. Our list of affected dogs did increase already again. We got a new progress report about Nori (NHSB, FCI) on our homepage. And this time it's an especially moving text. The owner of Nori – I'd rather say: her saver – wrote a heartbreaking, honest report about Nori's life story. Nori's life began very awful and sad, but than she had the great Fortune to meet her person of heart Daniela. Together they fought to make Nori's life worth living after all! Thank you, Daniela. Thank you for this text. But way more – from the bottom of my heart and soul – I want to thank YOU for having been in Nori's life! You'l find the report on Nori's page under the progress reports. We got a new chapter about "When it's time to say goodbye..." on our homepage with a heart breaking text by Dr. rer. biol. vet. Daniela Koppenhöfer. Thank you Daniela for this wonderful words! Besides this, Daniela also gave us her permission to put her girl "Nori" on our list of affected dogs. Thank you for your trust and your support! Our list of affected dogs has extended. Sadly Carrie only reached the age of 5. We want to say a grateful thank you to the owner of Harlequin's Sweet Caroline for her trust and support! Our hearts are broken. Our eyes can not stop crying. Finding the right words is very difficult and it hurts so much. The owner of Keena (Yes we can Charming Princess Keena) agitates for our action group and therefore you can find a link to our homepage and to the appeal of TiHo-Hannover right here on the homepage of the DRC regional group Lübeck-Ostholstein. We're very pleased about this great support and want to thank Keena's owner and the regional group Lübeck-Ostholstein. Furthermore Keena's owner wrote a short update for our homepage. You find it on Keena's page under the progress reports. 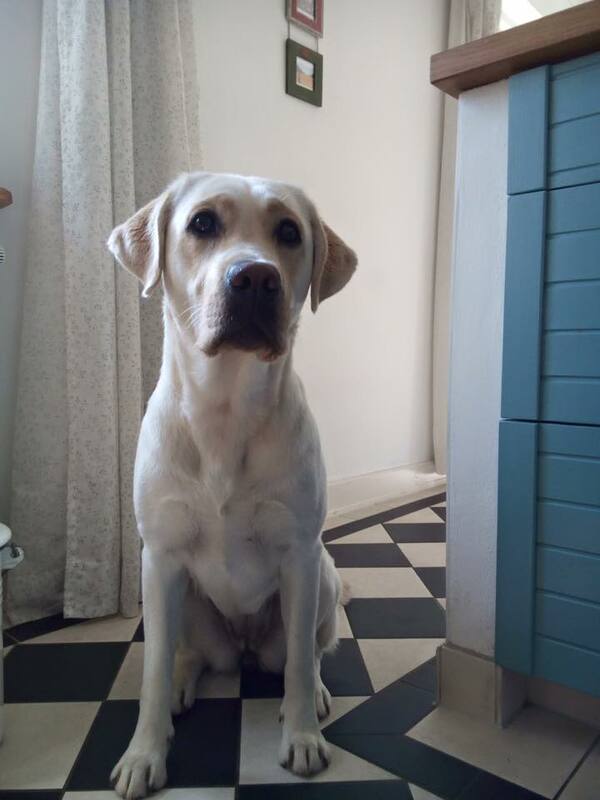 Emma's owner had now unfortunately again bring us bad news. See Emma's history on her page under the progress reports. And again there are news of Emma. Find her story on Emma's page under the progress reports. 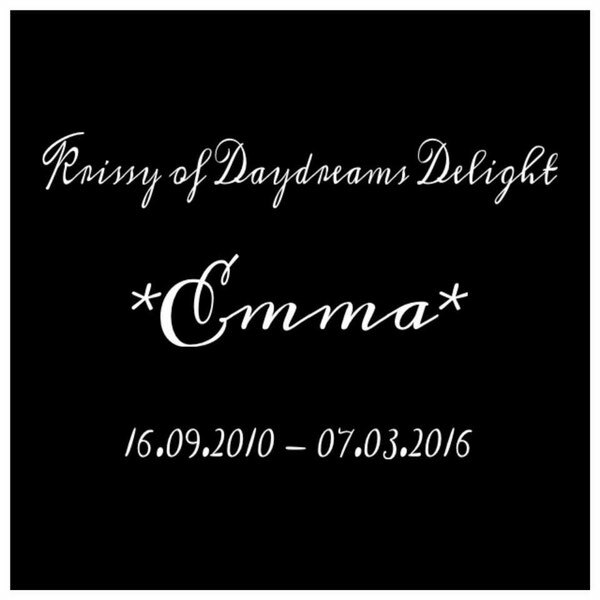 Emma's (Krissy of Daydreams Delight) owner sent us a little update. It can be found on Emma's page under the progress reports.